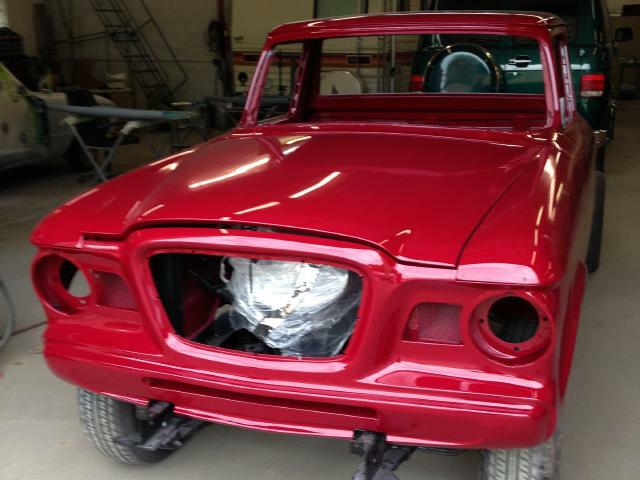 Mark Prazak of Fridley, Minnesota sent pictures of his sharp 1963 Studebaker 8E7 Champ Pickup from before, during, and after its recently completed restoration. The truck was acquired in December 2012 from a family in Broken Arrow, Oklahoma. 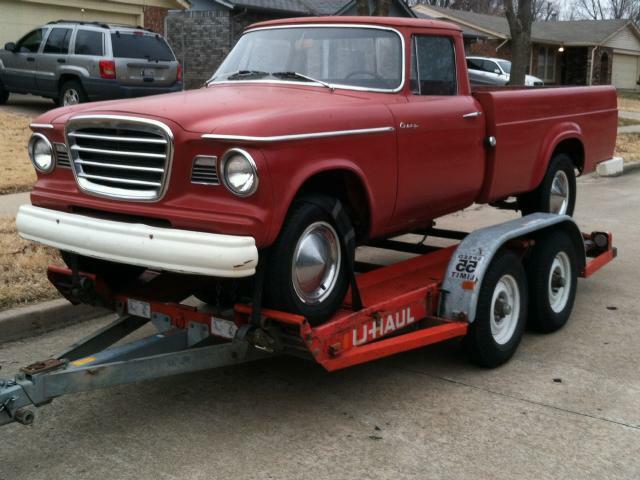 Mark is the third owner of the truck the first being the Studebaker dealer in Tulsa, Oklahoma. Mark's understanding is that the dealer had a camper top on the truck. The 8E7 designation indicates that the truck is a V8 powered half-ton model. 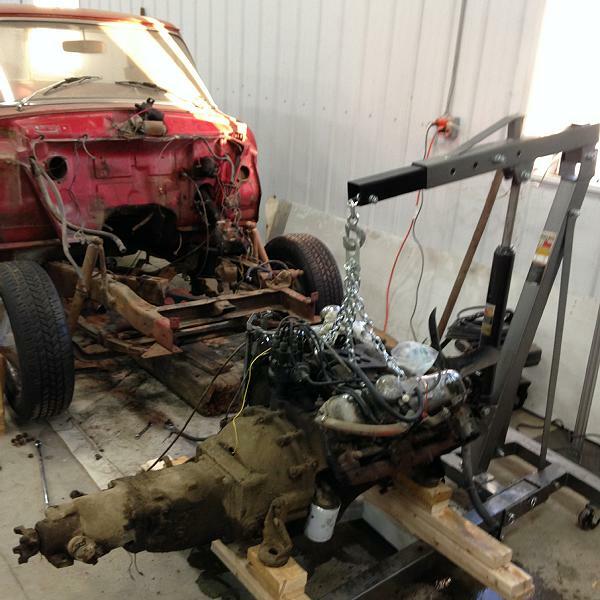 The first picture shows the truck in its unrestored state. The cab, front fenders, and cargo box were all in good shape but the floorboards, rocker panels, and taigate needed work. In the process of a frame-off restoration, new floors and rocker panels were installed and the tailgate was repaired. As can be seen in the front view picture, the front bumper has been raised to follow the shadow line of the front clip. My opinion is that this looks much better than the stock bumper position. 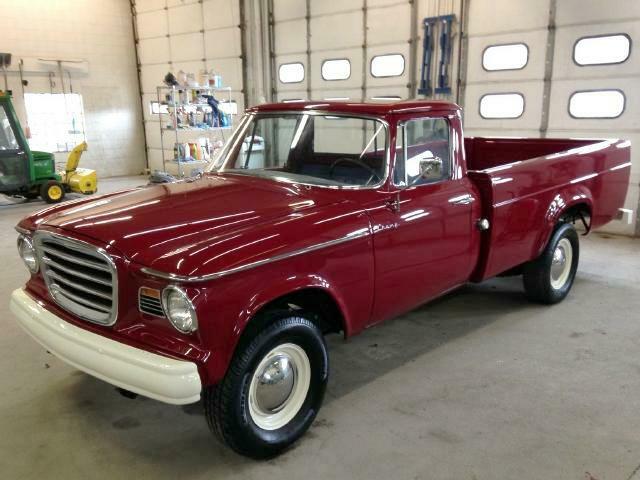 Mark's truck is equipped with the very desirable combination of a Studebaker 289 cubic inch V8 with manual shift and overdrive. 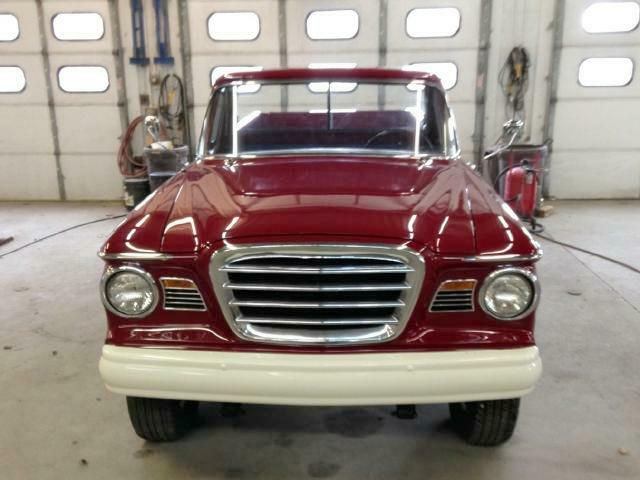 The engine was rebuilt and the truck's interior and headliner were redone as part of the restoration. 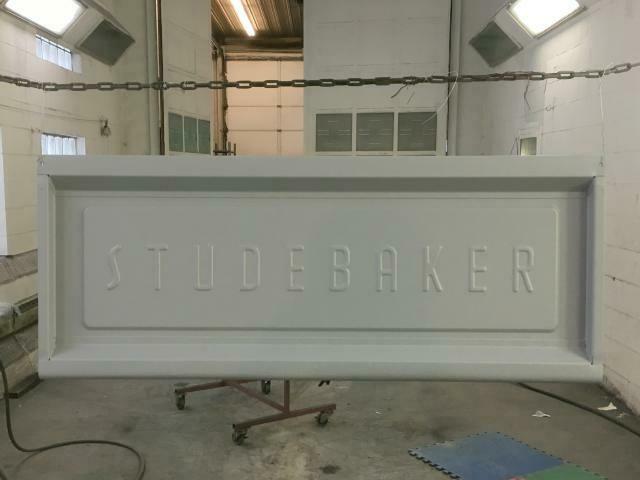 Here is a picture of the engine and transmission out during restoration and here is a picture of the tailgate being lettered. 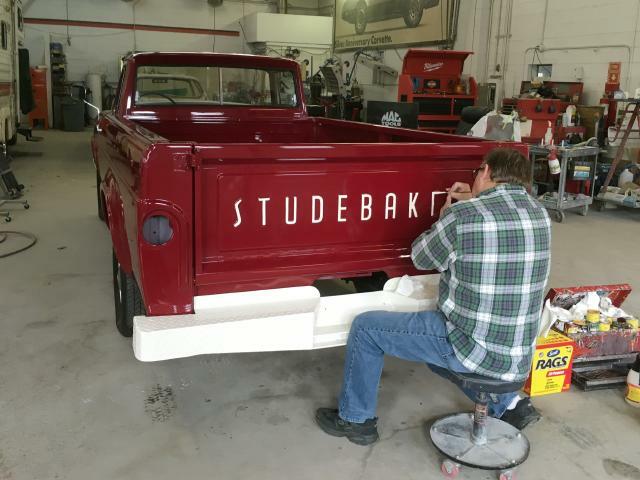 The paint is a Porsche color that was used because it closely matches the Studebaker Shoshone Red of a 1954 Champion that Mark once owned. Mark Prazak also owns a 1966 Daytona Sport Sedan with V8 and overdrive. Thanks to Mark for sending the pictures and information on his very sharp truck.